"The piano I'm playing tonight is a Fandrich & Sons built by Darrell Fandrich. He's been kind enough to lend his piano to this and several other jazz venues recently. As a piano player this is a great thing! 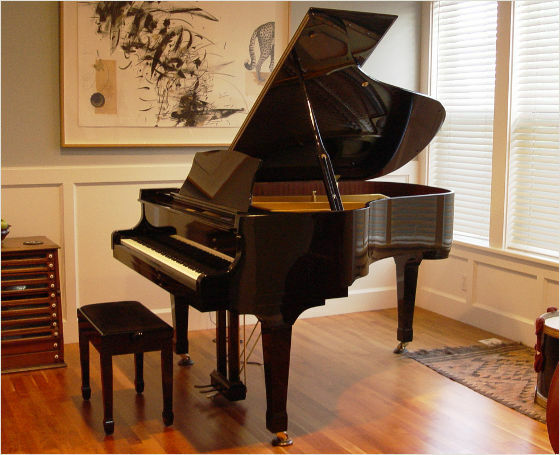 We need to encourage Darrell to keep doing this, and if you're in the market for a piano, if you buy this one maybe I'll come over to your house and play it!" Seattle jazz recording and performing artist, on the occasion of his CD release party at Jazz Alley, Seattle.